Following their launch on June 14, the 2017 American Liberty Silver Medal sales hit 33,075 by Sunday, June 18. These one ounce, .999 fine silver medals celebrate the 225th anniversary of the U.S. Mint and are priced $59.95 each. Their sales easily took first place in the latest round of U.S. Mint stats across all categories. The 2017 Silver Proof Set followed with a posted gain of 14,358 units, so its total jumped to 189,082. The silver set placed second overall and has been on the market since June 7. 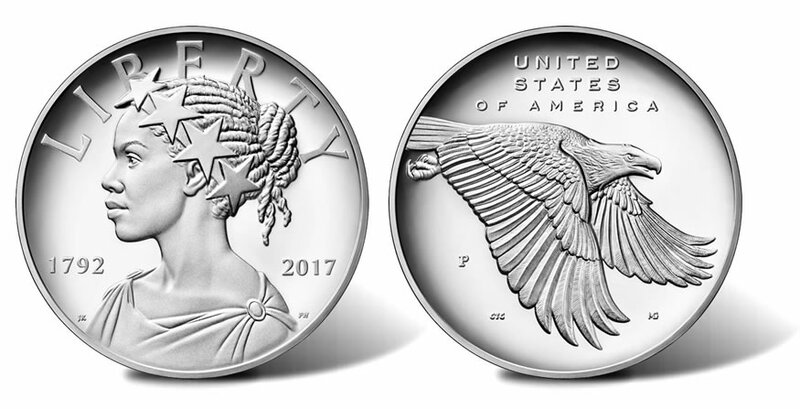 Not far behind were the individual 2017-W Proof American Eagle Silver coins. Their total rose by 3,953 to 275,559. The table below shows the latest sales stats for collector coins and related silver products from the U.S. Mint. Sunday, June 18, is the as of date for the standard collectibles and Friday, June 23, is the as of date for the bullion products.